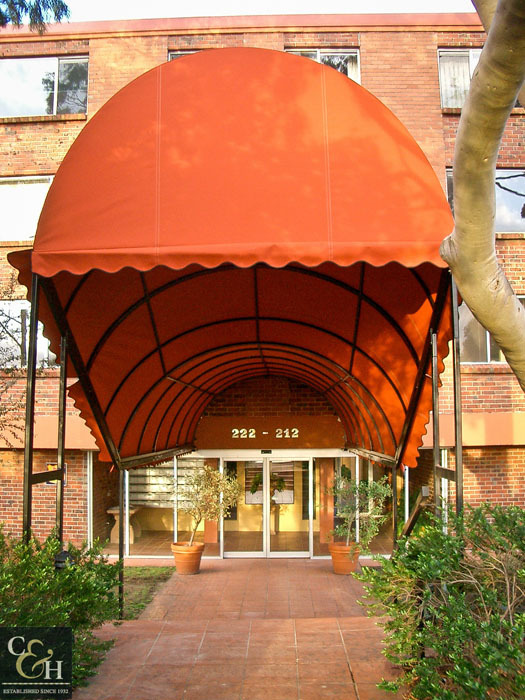 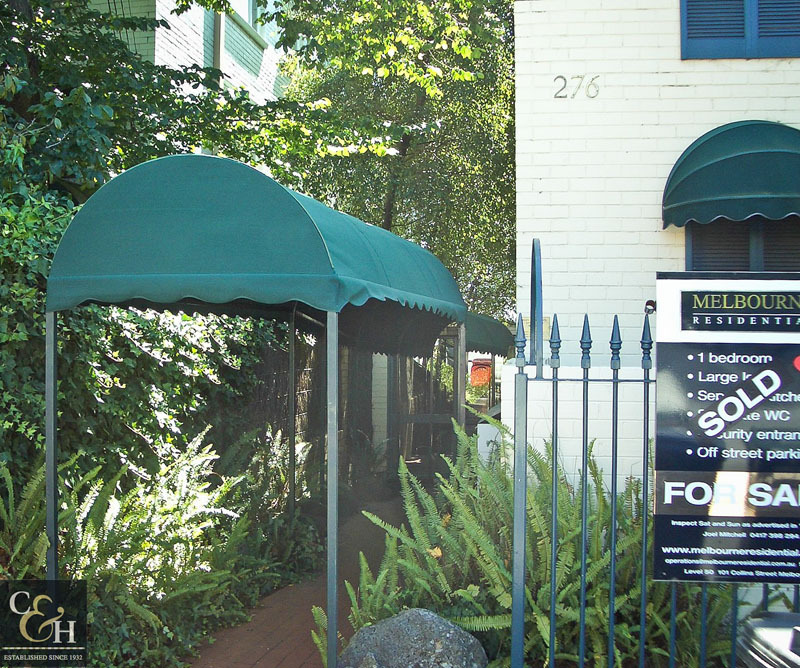 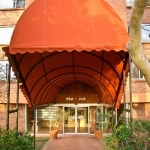 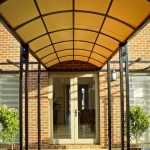 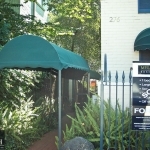 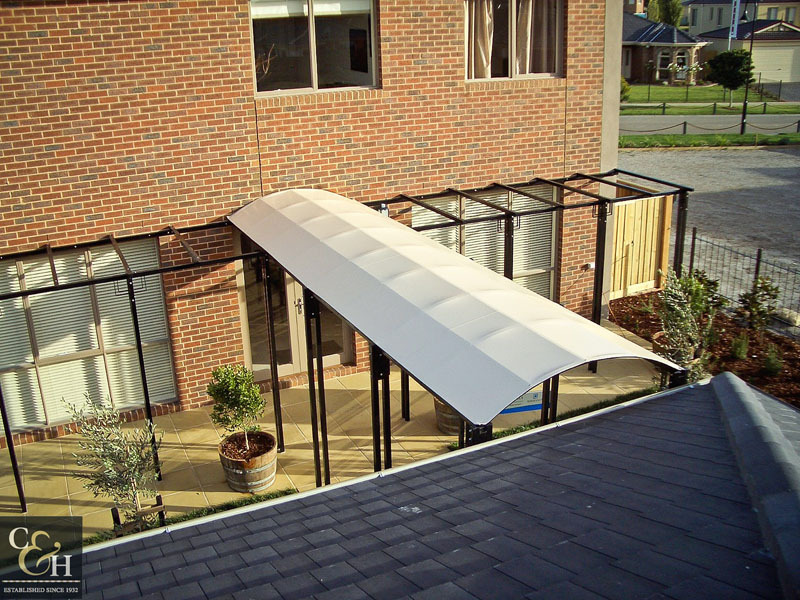 Campbell & Heeps can manufacture a new custom walkway awning or re-cover an existing walkway awning. 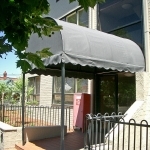 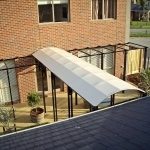 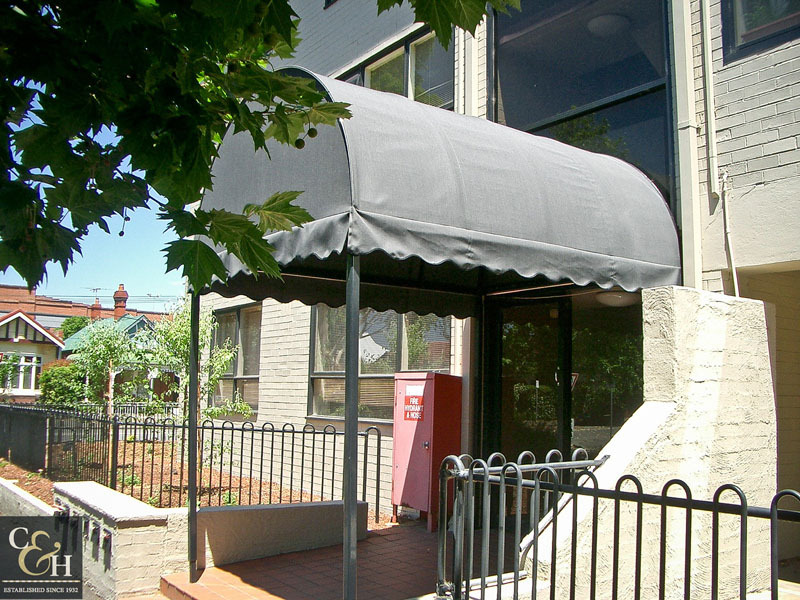 Great for protection from all weather conditions, these awnings are mainly used at entrances to buildings and apartments. 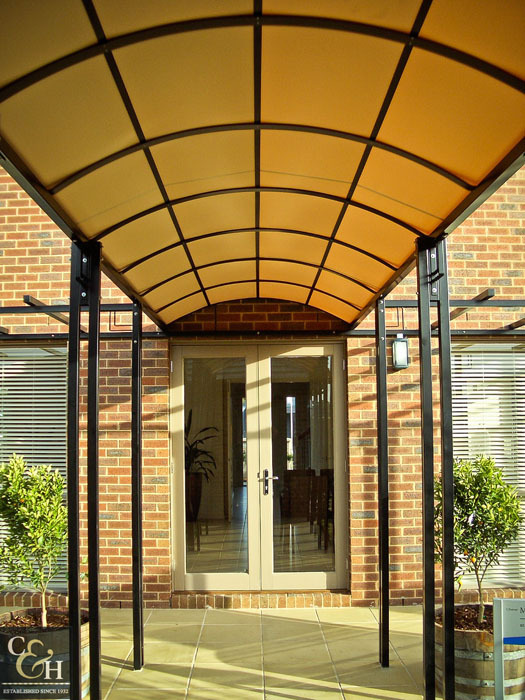 Available in a wide range of styles and colours, our representatives can meet with you on site at a time that suits you to discuss options for design, shading, sign writing and weather protection.